There was all sorts going on in Monza, both on and off the track! This week we've got points for having a bit of a vendetta, for spending some quality time with your teammate, for indulging in a spot of cake and having an unusual birthday present as well. There are also points for karting on a track within a track, as well as trying desperately to play games under your own name. We don't have a change of leader on the board this week, and actually no major changes at the top, but it's still very close - the top four runners and riders are split by just over ten points. Anything can happen, and no doubt it will before the season is out! -1 Fernando Alonso: Minus point for being just that little bit too obsessed with Palmer during the race... especially because Jolyon gave him a lift earlier. +1 Kimi Räikkönen: Hard to know what's going on here, but it's nice to see him having fun! +1 Esteban Ocon: Great karting work at Monza pre-race. +1 Sergio Pérez: Great karting work at Monza pre-race. +1 Daniel Ricciardo: Great karting work at Monza pre-race. +1 Max Verstappen: Great karting work at Monza pre-race. +2 Carlos Sainz Jr: Cake! but also a meerkat! +1 Romain Grosjean: Making the most of the rain delays with a spot of camera work. +5 Lewis Hamilton: Brilliant times with Lewis and Valtteri, as they live-streamed some games whilst waiting for the rain to pass. 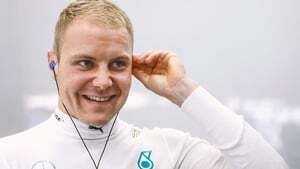 +5 Valtteri Bottas: Brilliant times with Lewis and Valtteri, as they live-streamed some games whilst waiting for the rain to pass. +2 Esteban Ocon: What do you do if you want to play the game as yourself but you're already IN THE GAME? -2 Kimi Räikkönen: "I always said that... nobody would know you and you could just race." Oh Kimi.